Posted on November 27, 2012 by Ai.Me.Be. I bought two more frames with mom at a yard sale and was planning to discard the drab black and white butterfly prints and replace them with my paintings. 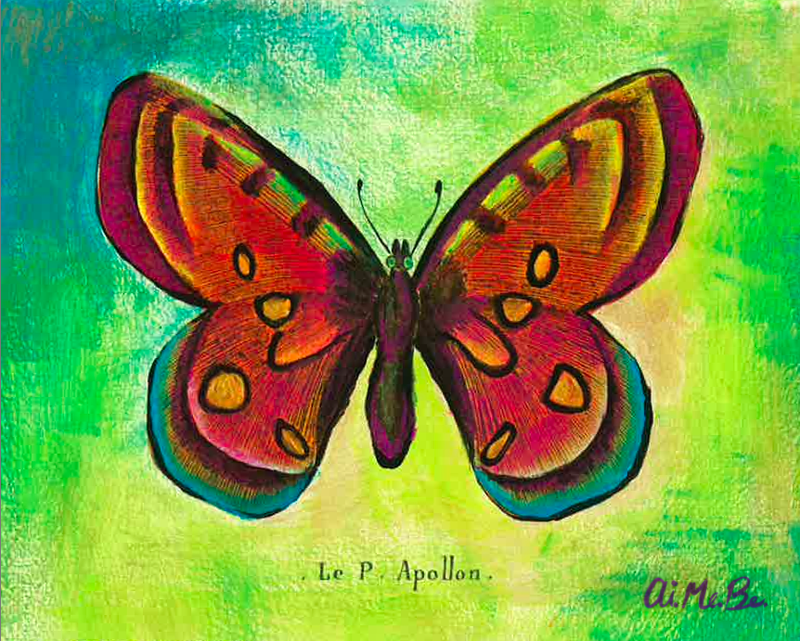 However, after forming our new company Social Butterfly TV over the summer I have a newfound affinity for butterflies so instead decided to paint over the prints in vibrant colors to bring them back to life.